Air Canada Rouge has dropped the price of their non-stop flights from Montreal to Lima, Peru down to $499 CAD roundtrip including taxes for 2018 travel. We've all seen the crazy prices to Peru on Aeromexico before, with a stop in Mexico City each way. But this is the first time Air Canada Rouge has offered some really cheap prices on their non-stop flights from Montreal to Lima. 3. On FlightHub, the flight will show up as a 'phone only fare' in the search results. When you click on Select, the phone number to call will show up (1-800-755-4580). 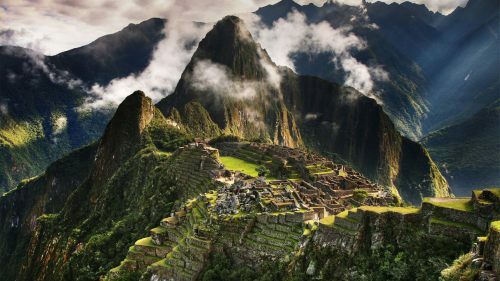 Update 9/20 - These non-stop flights from Montreal to Lima, Peru on Air Canada Rouge have dropped a little more, down to $474 CAD roundtrip including taxes. montreal, yul, flight deals, south america, lima, peru, lim and air canada rouge. 2 Responses to "Montreal to Lima, Peru - $474 CAD roundtrip including taxes | non-stop flights!" isn't this a completely new route for Air Canada Rouge? Yep, the fares for these Air Canada Rouge flights have been around since about May - but the flights taking place in mid December will be the first non-stop flights from Montreal to Lima.